An avid gamer and fan of the ‘Steampunk’ alternative genre has mod’ed his Xbox 360 into this pretty impressive vintage throwback, resembling the style which is currently a popular fad amongst sci-fi enthusiasts and alternative lifestylers. Robert LaMonte has converted the consoles casing using cogs and mechanical parts he has cleverly created additional venting to prevent the Xbox from overheating – and that dreaded ‘Red Ring of Death”. Liquid Transformations then got involved and added a wood effect paintjob to the console, which was finished off with brass fixings to hold it all together and complete the uniquely antiquated style. We’ve seen some cool customs, but this one’s both clever and stylish and we’d gladly take this over some of the official Microsoft-approved Xbox variants out there. 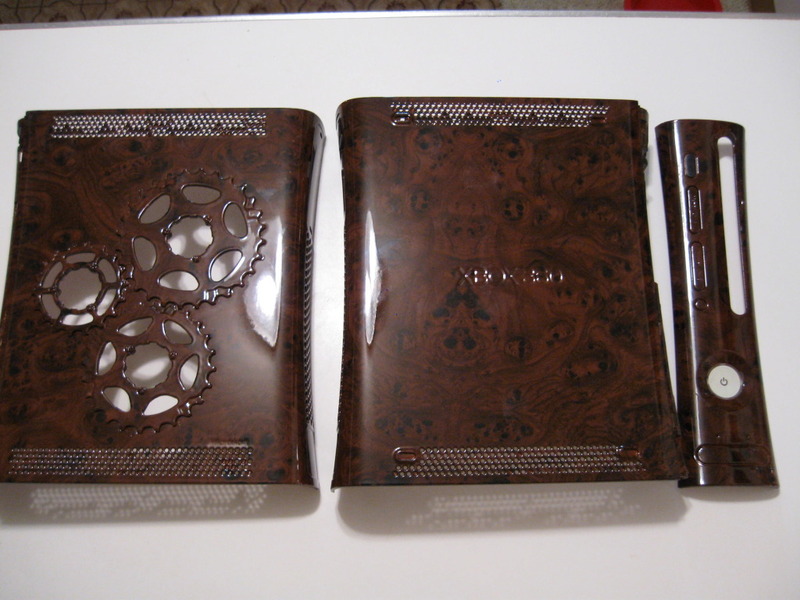 A very suitable console for Gears of War! And be sure to check out the Gadget Helpline’s Gaming Weekly – We’ve got the latest news bytes and a unique commentary on events in the gaming world – right here! Send us your thoughts via tweet to the Official Gadget Helpline Twitter or drop us a comment on our Official Facebook page!